Balances the pituitary gland and third eye, heals lymphatic and glandular systems, nerve endings and vision nerves. Encourages beginning psychic vision and calms the fear of one's psychic vision and abilities. Soothes and heals the central nervous system. Sodalite has a cubic crystal system and is in the mineral class of lattice silicate. It is mainly formed in a primary manner in pegmatites that are low in silica, and most often found in cavities of volcanic rock. Its coloring is primarily blue with white, colorless, and sometimes violet or pink feldspar veins. The blue hue can sometimes be confused with Lapis Lazuli. While both have the same cubic structure, and both are lattice silicates, the Sodalite does not have any iron. 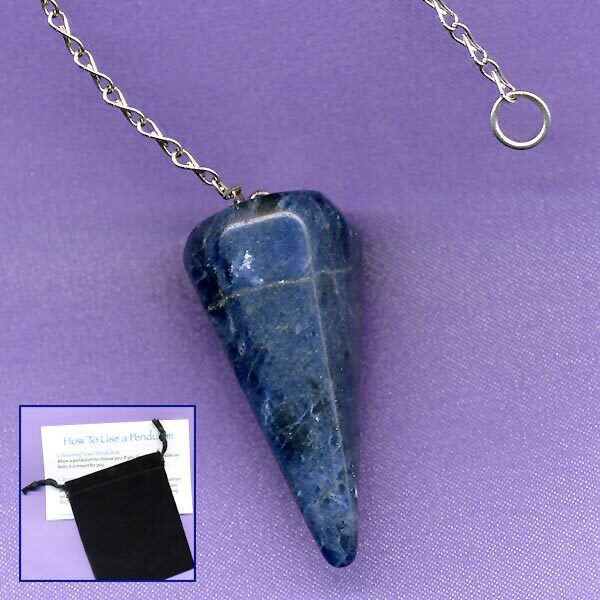 Sodalite can be worn as a beaded chain, as a pendant, held in your hand, or carried with you for long periods of time. Sodalite helps encourage idealism and the drive for truth. It enables us to see suppressed parts of our nature and not judge, but accept them. By assisting in living the life we choose freely and consciously, it helps to stay true to our self. Sodalite definitely brings a clear feeling of who we are and to shield ourselves from whatever does not align to our chosen identity. It aids in avoiding unconscious behaviors once they have been identified as being a stumbling block to our development. It can also dissolve feelings of guilt and make it possible to stand up for our feelings and live them out. 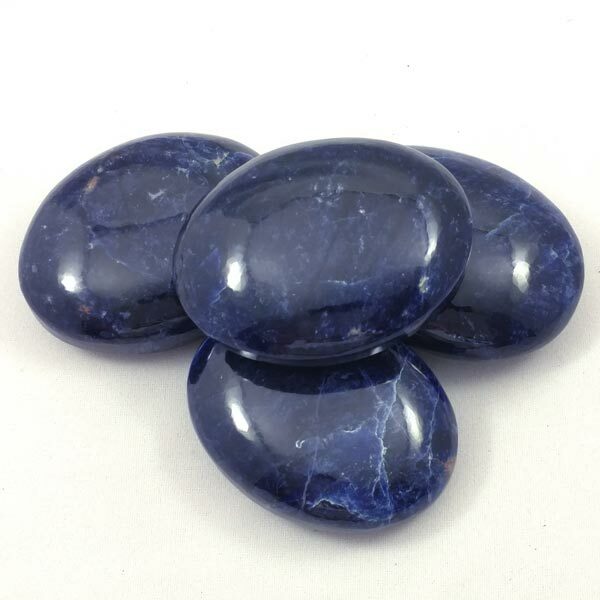 Sodalite increases awareness and helps to create order and expression of our own convictions. It stimulates a side step from restrictive ideas or rules and increases our quest for freedom from those ideals. Sodalite has been known to heal problems that effect the throat, larynx and vocal chords, particularly in long lasting hoarseness. I have to say though that I have found Chrysocholla to be quicker acting for myself. It does however, have a cooling effect, lowers the blood pressure and stimulates the absorption of fluids into the body. In my experiments during summer months here in the U.S., I realized noticeable cooling effects when wearing a Sodalite chip necklace. 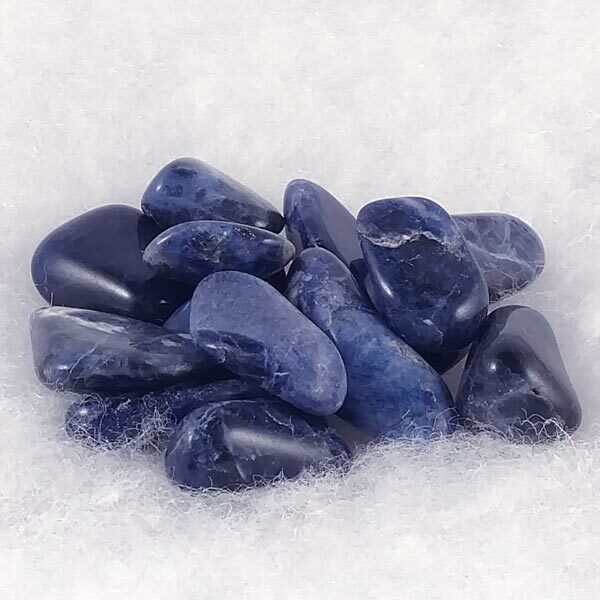 Sodalite has a special affinity with Sagittarius and is especially beneficial for those who work around x-ray equipment or are involved in acupuncture. It has a Receptive Energy, its Planet is Venus and its Element is Water. 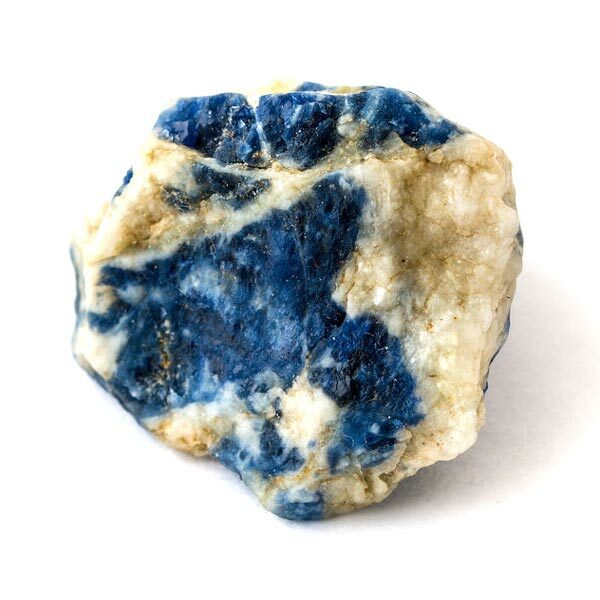 Sodalite has been only been known for about 200 years. A short time compared to other gem lore. It has been used for healing emotionally related diseases or those caused from anger or stress. It has been written that if it is rubbed over the body, it will dispel fear and guilt. It has also been reputed to promote wisdom when used conscientiously.